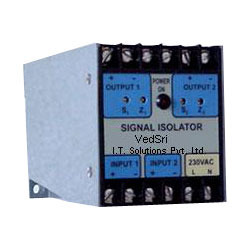 We are offering an extensive range of superb quality Slim Signal Isolators to our clients. 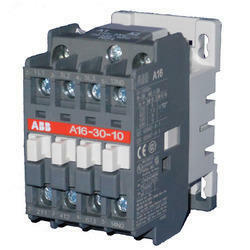 These isolators provide excellent isolation between input & output signals. The outstanding quality of this product also includes its high end reliability and durability. 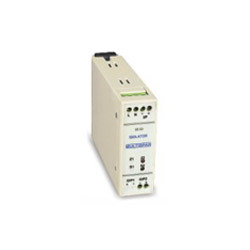 These equipment are used to convert one type of electronic signal into another type of signal. Backed by a team of expert professionals, we have been able to present high performing range of Signal Isolators. Also being used for signal conversion and splitting lines from single sensor source to multiple control devices. Our ranges of products are manufactured using superior grade raw materials and components. Output Load 500 V Max. for 4 to 20 mA. Operating Humidity 90% Rh N. C. max. Accuracy 0.25% of F. S. Mounting DIN rail Mounting. Linearity Output 28 mA max. Weight 1.5Kgapprox. Model 405 - Dual output with DIN rail housing 406 - Dual output wall mounted type with 24 v DC output 407 - Five output with DIN rail housing.